Property 1: Modern holiday home is beside Austria's largest ski-area. Property 2: This modern holiday home is beside Austria's largest ski-area. Property 4: Luxurious holiday home with playroom, sauna, and plenty of privacy in Söll! Unique, detached holiday home with its own church! Property 38: Unique, detached holiday home with its own church! 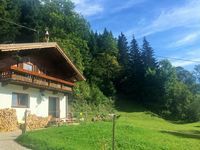 Property 45: Group house with a sunny garden and the ski bus and ski slope around the corner!